Sugar substitutes - how do they measure up? From artificial sweeteners to naturally occurring sweet substances - we look at the various sugar substitutes to see which is best. In September Coca-Cola will launch a new version of their much-loved drink – Coca-Cola Life. Containing 89 calories and a combination of sugar and stevia, the drink looks to bridge the gap between their zero calorie and zero sugar Diet Coke and their original formula (containing 35g of sugar). This move represents a welcomed shift in the food and drink industry as the true consequences of sugar are revealed. 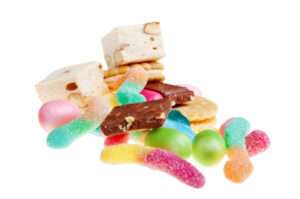 Studies have linked excess sugar consumption with obesity, diabetes, heart disease and depression. Guidance from the World Health Organisation states that sugar should comprise just 5% of our calories – that’s 25g per day (less than a can of Coke). According to the National Diet and Nutrition Survey, non-milk sugars are making up more than 11% of our daily calories. naturally sweet substances with 0 sugar and 0 calories. The first category, artificial sweeteners, is losing steam due to their processed nature and the fact that they seem to share some of the same ill effects as sugar. One study found that when rats ate artificial sweeteners, they ate more than rats fed on sugar. Far more popular is option two – agave nectar, honeys and maple syrups. Despite their wholesome appearance, these products also have their pitfalls. One being that they are high in fructose which, unlike glucose, isn’t metabolised until it reaches the liver and is typically converted into fat. Their saving grace is that they do not cause an immediate blood-sugar spike linked to cravings for more sugar – so can work well for those easing off the sweet stuff. The final category has proved the most interesting – naturally sugar-free sweeteners. The best natural prospect in this group so far is stevia – the sweetener used in Coca-Cola Life. Containing no sugar or carbohydrate, stevia doesn’t raise blood-sugar levels. Some find the taste bitter, which explains why Coca-Cola partnered it with sugar to cut the calories but retain the flavour. So, what can you do if you are trying to cut down on sugar? Enjoy full-fat foods – Low fat versions tend to be laden with sugar and won’t leave you feeling satisfied. Experiment with spices – Try cinnamon or cloves to add a depth of flavour without the sugar. Cook from scratch – Avoid pre-packaged meals and cook from scratch, this way you’ll know exactly what ingredients have been used. If you need advice when it comes to healthy eating - why not consult a nutritionist? Find out how they could help on our healthy eating page.